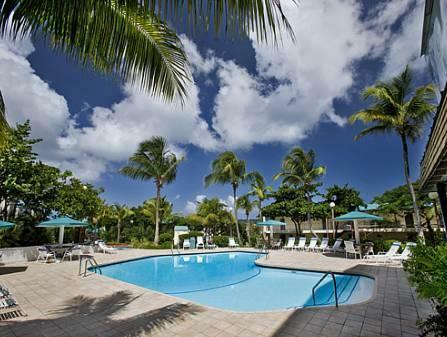 Featuring 2 outdoor pools overlooking Saint John Bay, Sapphire Village Resort is 5 minutes' walk from Sapphire Beach. Surrounded by tropical gardens, it offers accommodation with satellite TV. Each spacious room and suite at Sapphire Village Resort comes with air conditioning. There is a dining area and kitchen facilities, including a microwave, fridge and coffee maker. Sapphire Village has a pretty setting, less than 3 km from Coral World Marine Park and Water Bay. Cyril E King Airport is a 25-minute drive away.